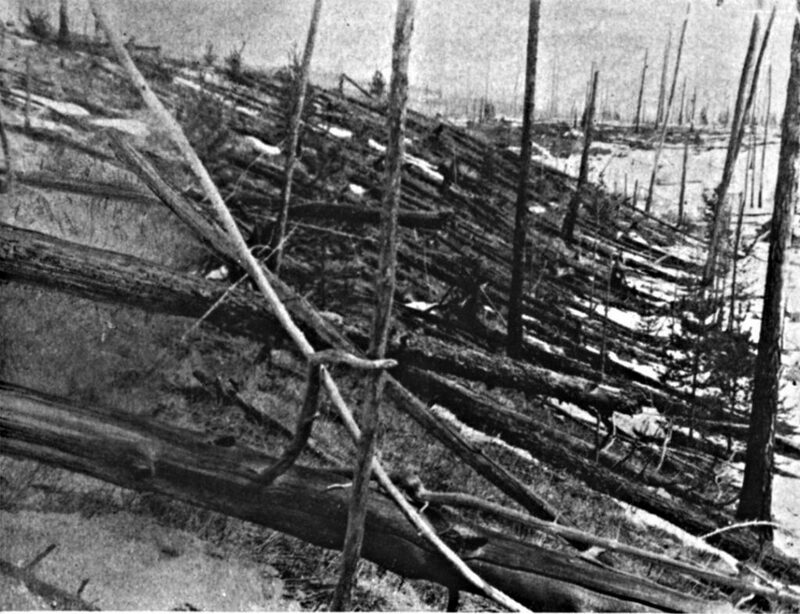 In 1908 it was Tunguska event, a meteorite exploded in mid-air, flattening 770 square miles of forest. 39 years later in 1947, 70 tons of iron meteorites pummeled the Sikhote-Alin Mountains, leaving more than 30 craters. 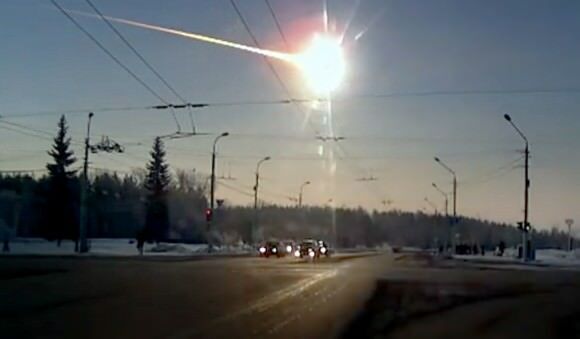 Then a day before Valentine’s Day in 2013, hundreds of dashcams recorded the fiery and explosive entry of the Chelyabinsk meteoroid, which created a shock wave strong enough to blow out thousands of glass windows and litter the snowy fields and lakes with countless fusion-crusted space rocks. Now on Dec. 6, another fireball blazed across Siberian skies, briefly illuminated the land like a sunny day before breaking apart with a boom over the town of Sayanogorsk. Given its brilliance and the explosions heard, there’s a fair chance that meteorites may have landed on the ground. Hopefully, a team will attempt a search soon. As long as it doesn’t snow too soon after a fall, black stones and the holes they make in snow are relatively easy to spot. OK, maybe Siberia doesn’t get ALL the cool fireballs and meteorites, but it’s done well in the past century or so. Given the dimensions of the region — it covers 10% of the Earth’s surface and 57% of Russia — I suppose it’s inevitable that over so vast an area, regular fireball sightings and occasional monster meteorite falls would be the norm. For comparison, the United States covers only 1.9% of the Earth. So there’s at least a partial answer. Siberia’s just big. Every day about 100 tons of meteoroids, which are fragments of dust and gravel from comets and asteroids, enter the Earth’s atmosphere. Much of it gets singed into fine dust, but the tougher stuff — mostly rocky, asteroid material — occasionally makes it to the ground as meteorites. Every day then our planet gains about a blue whale’s weight in cosmic debris. We’re practically swimming in the stuff! Most of this mass is in the form of dust but a study done in 1996 and published in the Monthly Notices of the Royal Astronomical Society further broke down that number. In the 10 gram (weight of a paperclip or stick of gum) to 1 kilogram (2.2 lbs) size range, 6,400 to 16,000 lbs. (2900-7300 kilograms) of meteorites strike the Earth each year. Yet because the Earth is so vast and largely uninhabited, appearances to the contrary, only about 10 are witnessed falls later recovered by enterprising hunters. Meteorites fall in a pattern from smallest first to biggest last to form what astronomers call a strewnfield, an elongated stretch of ground several miles long shaped something like an almond. If you can identify the meteor’s ground track, the land over which it streaked, that’s where to start your search for potential meteorites. 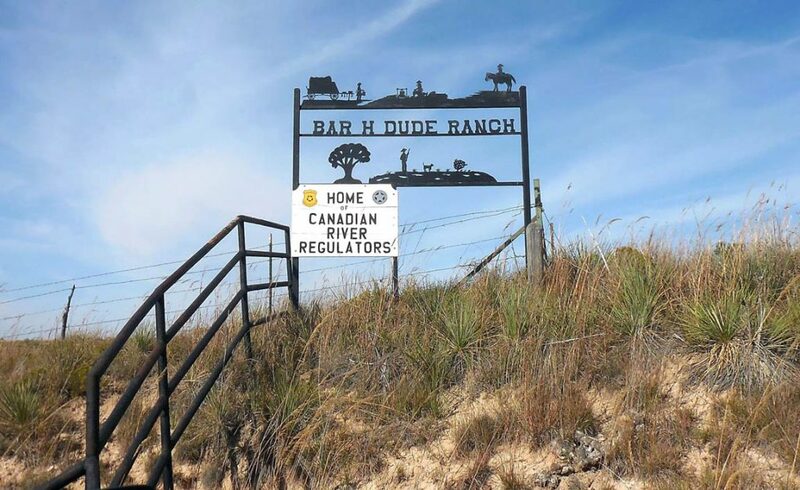 On April 6, 2015, Frank Hommel was leading a group of guests at his Bar H Working Dude Ranch on a horseback ride. The horses got thirsty, so Hommel and crew rode cross-country in search of a watering hole. Along the way, his horse Samson suddenly stopped and refused to go any further. Ahead of them was a rock sticking out of the sandy soil. Hommel had never seen his horse act this way before, so he dismounted to get a closer look at the red, dimpled mass. Something inside told him this strange, out of place boulder had to be a meteorite. Here’s the crazy thing — Hommel’s hunch was correct. Lots of people pick up an odd rock now and then they think might be a meteorite, but in nearly every case it isn’t. Meteorites are exceedingly rare, so you’re chances of happening across one are remote. But this time horse and man got it right. The rock that stopped Samson that April day was the real deal and would soon be classified and named the Clarendon (c) stony meteorite. Only the top third of the mass broke the surface; there was a lot more beneath the soil. Hommel used a tractor to free the beast and tow it to his home. Later, when he and his wife DeeDee got it weighed on the feed store scale, the rock registered a whopping 760 pounds (345 kilograms). Hommel with others returned to the site and recovered an additional 70 pounds (32 kilograms) of loose fragments scattered about the area. At this point, Frank and DeeDee couldn’t be certain it was a meteorite. Yes, it attracted a magnet, a good sign, but the attraction was weak. Frank had his doubts. 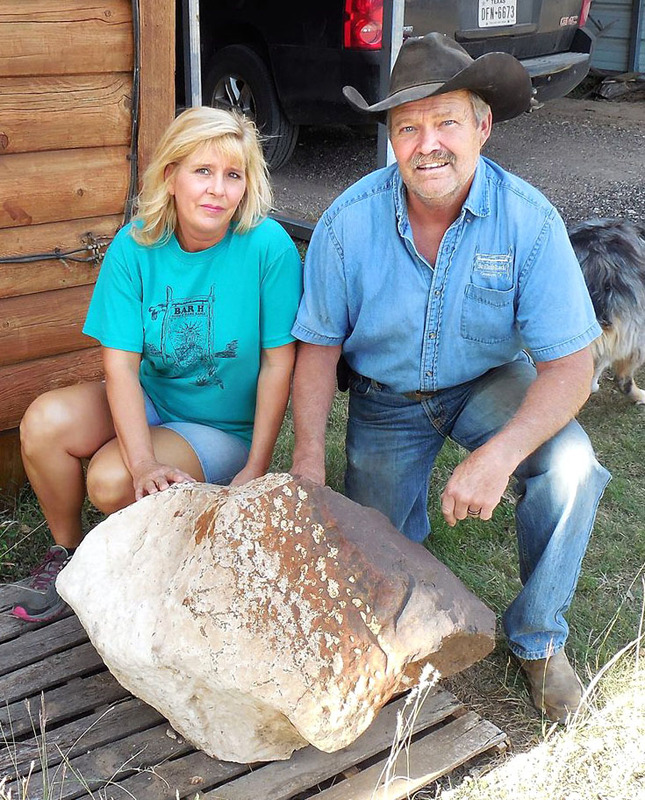 To prove one way or another whether this rusty boulder came from space or belonged to the Earth, DeeDee sent a photo of it to Eric Twelker of Juneau, Alaska, a meteorite seller who maintains the Meteorite Market website. Twelker thought it looked promising and wrote back saying so. Six months later, the family sent him a sample which he arranged to have tested by Dr. Tony Irving at the University of Washington. 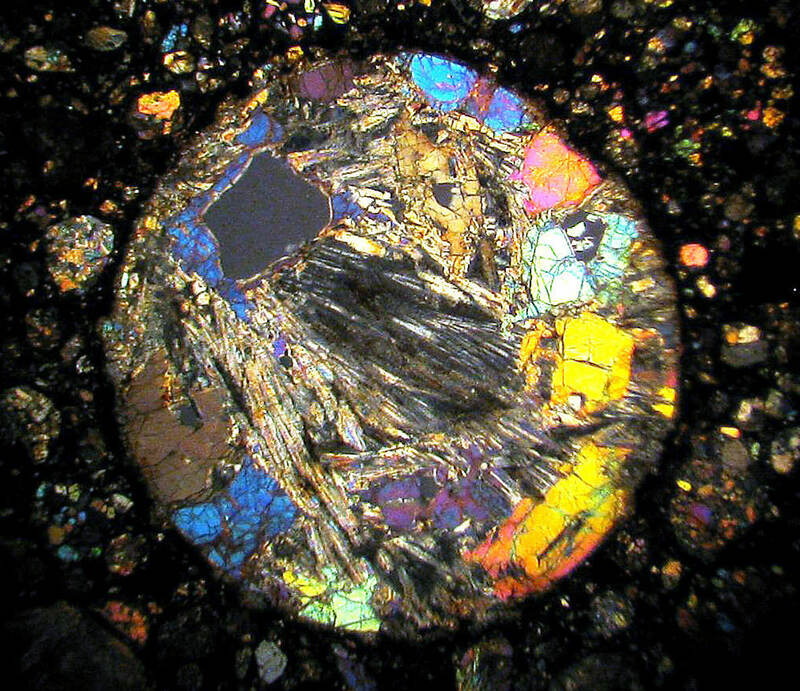 Irving’s analysis revealed bright grains of iron-nickel metal and an abundance of chondrules, round grains composed of minerals that were flash-heated into a “fiery rain” in the solar nebula 4.5 billion years ago. When they cooled, the melted material congealed into small solid spheres several millimeters across that were later incorporated into the planetary embryos that grew into today’s planets and asteroids. Finding iron-nickel and chondrules proved beyond a shadow that the Hommels’ rock was a genuine stone from space. Irving pigeonholed it as an L4 chondrite meteorite. L stands for low-iron and chondrite indicates it still retains its ancient texture of chondrules that have been little altered since their formation. 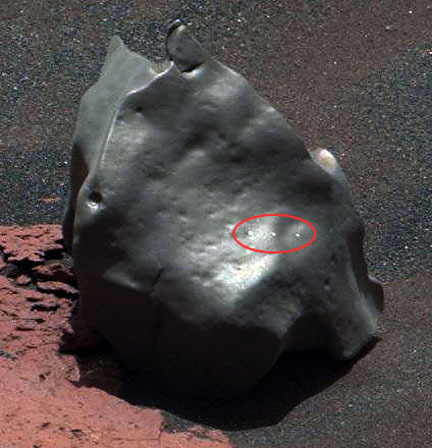 No one knows how long the meteorite has sat there, but the weathering of its surface would seem to indicate for a long time. That said, Hommel had been this way before and never noticed the rock. It’s possible that wind gradually removed the loosely-bound upper soil layer — a process called deflation — gradually exposing the meteorite to view over time. Once a meteorite has been analyzed and classification, the information is published in the Meteorite Bulletin along with a chemical analysis and circumstances of its discovery. Meteorites are typically named after the nearest town or prominent geographical feature where they’re discovered or seen to fall. 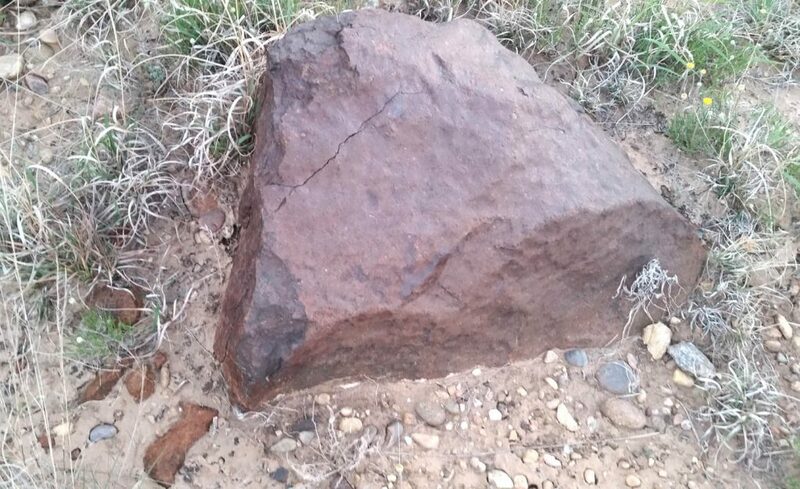 Because it was found on the outskirts of Clarendon, Texas, the Hommels’ meteorite took the town’s name. The little “c” in parentheses after the name indicates it’s the third unique meteorite found in the Clarendon area. Clarendon (b) turned up in 1981 and Clarendon (a) in 1979. Both are H5 (high metal) unrelated stony chondrites. When Clarendon (c) showed up in the Bulletin late last month, meteorite hunter, dealer and collector Ruben Garcia, better known as Mr. Meteorite, quickly got wind of it. Garcia lives in Phoenix and since 1998 has made his livelihood buying and selling meteorites. He got into the business by first asking himself what would be the funnest thing he could do with his time. The answer was obvious: hunt meteorites! 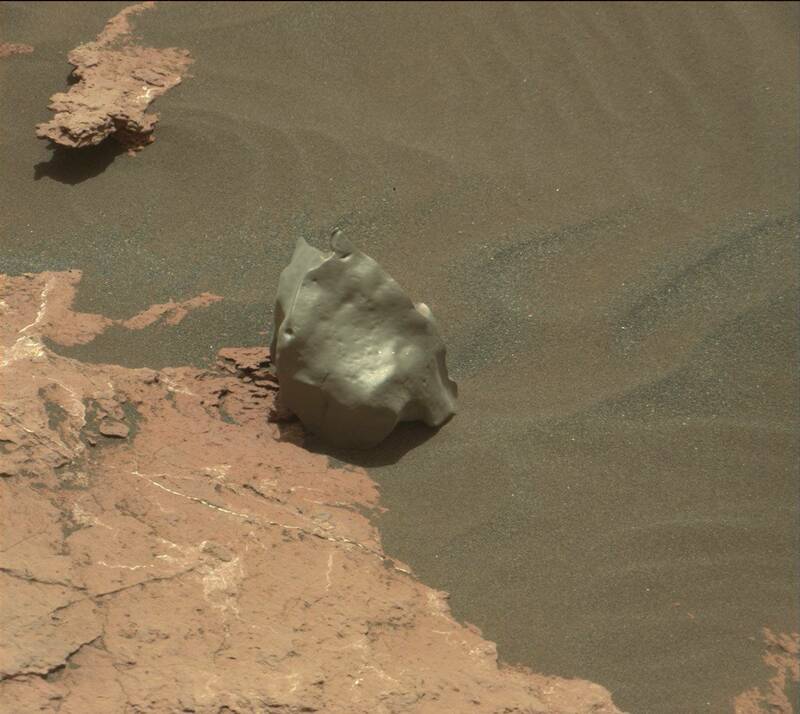 These rusty rocks, chips off asteroids, have magical powers. Ask any meteorite collector. Touch one and you’ll be transported to a time before life was even a twinkle in evolution’s eye. Their ancientness holds clues to that deepest of questions — how did we get here? Scientists zap them with ion beams, cut them into translucent slices to study under the microscope and even dissolve them in acid in search of clues for how the planets formed. They did. So Mr. Meteorite put the word out and two days later Texas Christian University made an offer to buy it. After a price was agreed upon, Garcia began making plans to return to Clarendon soon, load up the massive missive from the asteroid belt on his trailer and truck it to the university where the new owner plans to put it on public display, a centerpiece for all to admire. “How amazing to walk into a dude ranch and see a museum quality specimen,” said Garcia on his first impression of the stone. “I’ve never seen a meteorite this big outside of a museum or gem show.” Ruben joined Frank to collect a few additional fragments which he plans to put up for sale sometime soon. So how does Clarendon (c) rank weigh-wise to other meteorite falls and finds? Digging through my hallowed copy of Monica Grady’s Catalogue of Meteorites, it’s clear that iron meteorites take the cake for record weights among all meteorites. But when it comes to stony chondrites, Clarendon (c) is by far the largest individual space rock to come out of Texas. It also appears to be the second largest individual chondrite meteorite ever found in the United States. Only the Paragould meteorite, which exploded over Arkansas in 1930, dropped a larger individual — 820 pounds (371.9 kg) of pure meteorite goodness that’s on display at the Arkansas Center for Space and Planetary Sciences in Fayetteville. There’s truth to the saying that everything’s bigger in Texas. Every meteorite has a story. Some are witnessed falls, while others fall unnoticed only to be discovered decades or centuries later. The Clarendon meteorite parent body spent billions of years in the asteroid belt before an impact broke off a fragment that millions of years later found its way to Earth. Did this chip off the old block bury itself in Texas soil 100 years ago, a thousand? No one can say for sure yet. But one April afternoon in 2015 they stopped a man and his horse dead in their tracks. Last Saturday, Feb. 6th, a meteorite reportedly struck a bus driver on the campus of the Bharathidasan Engineering College in southern India. Three students were also injured and several windows were shattered in some kind of explosion. Online videos and stills show a small crater left by the impact. If true, this would be the first time in recorded history a person was struck and killed by a meteorite. Call me skeptical. Since the purported meteorite weighed about 50 grams — just under two ounces — it would be far too small to cause an explosion or significant impact crater five feet deep and two feet wide as depicted in both video and still photos. There were also no reports of rumbles, sonic booms or sightings of a fireball streaking across the sky, sights and sounds associated with material substantial enough to penetrate the atmosphere and plunge to the ground. Shattered windows would indicate an explosion similar to the one that occurred over Chelyabinsk, Russia in February 2013. The blast wave spawned when the Russian meteorite fractured into thousands of pieces miles overhead pulverized thousands of windows with flying glass caused numerous injuries. 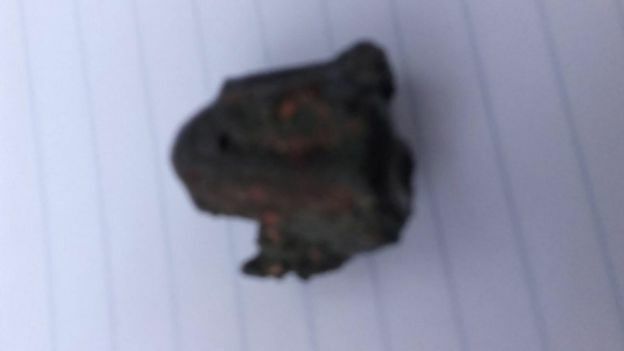 According to a story that ran in The News Minute, a team led by the Indian Space Research Organization (IRSO) recovered an object 2 cm (3/4 inch) in width that weighed 50 grams and looked like a meteorite with “air bubbles on its rigid surface”. There’s also been chatter about meteor showers dropping meteorites to Earth, with various stories reporting that there no active meteor showers at the time of the driver’s death. For the record, not a single meteorite ever found has been linked to a shower. Dust and tiny bits of comets produce most shower meteors, which vaporize to fine soot in the atmosphere. Now even NASA says that based on images posted online, the explosion is “land based” rather than a rock from space. There have been close calls in the past most notably in Sylacauga, Alabama On November 30, 1954 at 2:46 p.m. an 8.5 lb rock crashed through the roof of a home not far from that town, hit a radio console, bounced off the floor and struck the hand and hip of 31-year-old Ann Hodges who was asleep on the couch at the time. She awoke in surprise and pain thinking that a space heater had blown up. But when she noticed the hole in the roof and a rock on the floor, Hodges figured the neighborhood kids had been up to no good. Fortunately her injuries weren’t serious. Ann became a sudden celebrity; her photo even appeared on the cover of Life magazine with a story titled “A Big Bruiser From The Sky”. In 1956 she donated the meteorite to the Alabama Museum of Natural History in Tuscaloosa, where you can still see it to this day. A second meteorite from the fall weighing 3.7 lbs. was picked up the following day by Julius K. McKinney in the middle of a dirt road. McKinney sold his fragment to the Smithsonian and used the money to purchase a small farm and used car. Claims of people getting hit by meteorites have been on the increase in the past few years with the growth of the social media. Some stories have been deliberately made up and none have been verified. This would appear to be another tall tale if only based upon the improbabilities. In the meantime I’ve dug around and discovered another story that’s more probable and may indeed be the truth, though I have no way as of yet to independently verify it. Police at the college say that two of the school’s gardeners were burning materials from the garden when the fire inadvertently set off sticks of dynamite that had been abandoned “amid the rocks” when the college was first built. The driver, by the name of Kamaraj and another driver, Sultan, were drinking water nearby when they were hit by the shrapnel and flying glass. Kamaraj began bleeding and was rushed to a hospital but died on the way. More HERE. In the meantime, we only hope officials get to the bottom of the tragic death. What Is The Difference Between Asteroids and Meteorites? Asteroids, meteors, and meteorites … It might be fair to say these rocks from space inspire both wonder and fear among us Earthlings. But knowing a bit more about each of them and how they differ may eliminate some potential misgivings. While all these rocks originate from space, they have different names depending their location — i.e. whether they are hurtling through space or hurtling through the atmosphere and impacting Earth’s surface. Asteroid: a large rocky body in space, in orbit around the Sun. Meteoroid: much smaller rocks or particles in orbit around the Sun. Meteor: If a meteoroid enters the Earth’s atmosphere and vaporizes, it becomes a meteor, which is often called a shooting star. Meteorite: If a small asteroid or large meteoroid survives its fiery passage through the Earth’s atmosphere and lands on Earth’s surface, it is then called a meteorite. 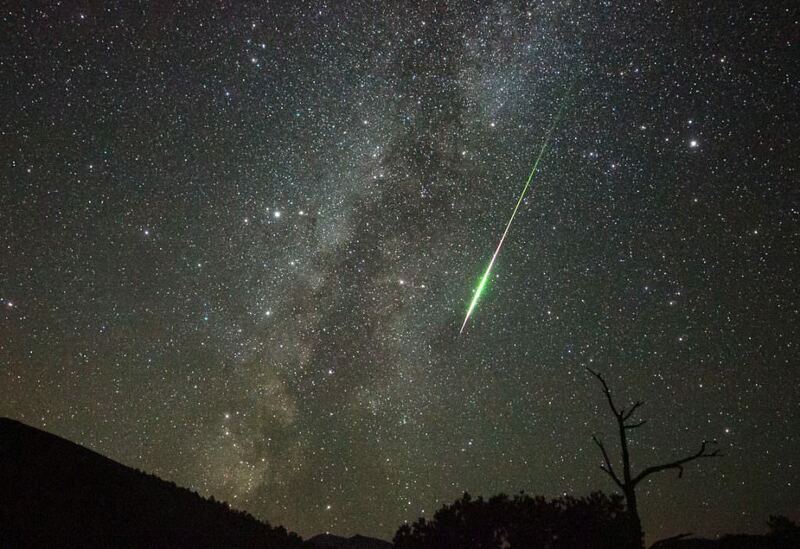 Another related term is bolide, which is a very bright meteor that often explodes in the atmosphere. This can also be called a fireball. Asteroids are found mainly in the asteroid belt, between Mars and Jupiter. Sometimes their orbits get perturbed or altered and some asteroids end up coming closer to the Sun, and therefore closer to Earth. In addition to the asteroid belt, however, there have been recent discussions among astronomers about the potential existence of large number asteroids in the Kuiper Belt and Oort Cloud. You can read a paper about this concept here, and a good article discussing the topic here. Asteroids are sometimes referred to as minor planets or planetoids, but in general, they are rocky bodies that do not have an atmosphere. However, a few have their own moons. Our Solar System contains millions of asteroids, many of which are thought to be the shattered remnants of planetesimals – bodies within the young Sun’s solar nebula that never grew large enough to become planets. The size of what classifies as an asteroid is not extremely well defined, as an asteroid can range from a few meters wide – like a boulder — to objects that are hundreds of kilometers in diameter. The largest asteroid is asteroid Ceres at about 952 km (592 miles) in diameter, and Ceres is so large that it is also categorized as a dwarf planet. Most asteroids are made of rock, but as we explore and learn more about them we know that some are composed of metal, mostly nickel and iron. According to NASA, a small portion of the asteroid population may be burned-out comets whose ices have evaporated away and been blown off into space. Recently, astronomers have discovered some asteroids that mimic comets in that gas and dust are emanating from them, and as we mentioned earlier, there appears to be a large number of bodies with asteroid-like compositions but comet-like orbits. How Often Do Asteroids Hit Earth? Meteor Crater near Winslow, Arizona. Image credit: NASA. While we know that some asteroids pass very close to Earth’s orbit around the Sun, we’ve been lucky in the history of humanity that we haven’t had a large asteroid hit Earth in the past several thousand years. It wasn’t until satellite imagery of Earth became widely available that scientists were able to see evidence of past asteroid impacts. One of the more famous impact craters on Earth is Meteor Crater in Arizona in the US, which was made by an impact about 50,000 years ago. But there are about 175 known impact around the world – a few are quite large, like Vredefort Crater in South Africa which has an estimated radius of 190 kilometers (118 miles), making it the world’s largest known impact structure on Earth. Another notable impact site is off the coast of the Yucatan Peninsula in Mexico, and is believed to be a record of the event that led to the extinction of the dinosaurs 65 million years ago. You can see images of some of the most impressive Earth impact craters here. These days, asteroid impacts are less of a threat. NASA estimates that about once a year an automobile-sized asteroid enters Earth’s atmosphere, creates an impressive fireball and disintegrates before ever reaching the surface. Studies of Earth’s history indicate that about once every 5,000 years or so on average an object the size of a football field hits Earth and causes significant damage. Once every few million years on average an object large enough to cause regional or global disaster impacts Earth. You can find more information about the frequency of impacts in this article from NASA. A bright meteor from September 21, 1994. Credit: John Chumack. Space debris smaller than an asteroid are called meteoroids. A meteoroid is a piece of interplanetary matter that is smaller than an asteroid and frequently are only millimeters in size. Most meteoroids that enter the Earth’s atmosphere are so small that they vaporize completely and never reach the planet’s surface. When they burn up during their descent, they create a beautiful trail of light known as a meteor, sometimes called a shooting star. How often is Earth hit by meteroids? Chelyabinsk fireball recorded by a dashcam from Kamensk-Uralsky north of Chelyabinsk where it was still dawn. Because of the Chelyabinsk meteor in 2013, astronomers have acquired more information about the frequency of larger meteors that hit Earth, and there is now a growing consensus that the Earth gets hit by bigger space rocks more often than we previously thought. You can read more about that concept here. This video from the B612 Foundation shows a visualization of the location of 26 space rocks that hit Earth between 2000 and 2013, each releasing energy equivalent to some of our most powerful nuclear weapons. The B612 foundation says that a Hiroshima-scale asteroid explosion happens in our atmosphere on average once a year, but many are not detected because they explode high in the atmosphere, or because most of the Earth’s surface is water and even a large percentage of land is fairly uninhabited by humans. Estimates vary of how much cosmic dust and meteors enter Earth’s atmosphere each day, but range anywhere from 5 to 300 metric tons. Satellite observations suggest that 100-300 metric tons of cosmic dust enter the atmosphere each day. This figure comes from the rate of accumulation in polar ice cores and deep-sea sediments of rare elements linked to cosmic dust, such as iridium and osmium. But other measurements – which includes meteor radar observations, laser observations and measurements by high altitude aircraft — indicate that the input could be as low as 5 metric ton per day. Read more about this here. For a documented list of bolide events, you can check out this page from JPL. If any part of a meteoroid survives the fall through the atmosphere and lands on Earth, it is called a meteorite. Although the vast majority of meteorites are very small, their size can range from about a fraction of a gram (the size of a pebble) to 100 kilograms (220 lbs) or more (the size of a huge, life-destroying boulder). Meteorites smaller than 2mm are classified as micrometeorites. Meteorites have traditionally been divided into three broad categories, depending on their structure, chemical and isotopic composition and mineralogy. Stony meteorites are rocks, mainly composed of silicate minerals; iron meteorites that are largely composed of metallic iron-nickel; and, stony-iron meteorites that contain large amounts of both metallic and rocky material. Meteorites have also been found on the Moon and Mars and conversely, scientists have traced the origination of the meteorites found here on Earth to four other bodies: the Moon, Mars, the asteroid 4 Vesta, and the comet Wild 2. Meteorites are the source of a great deal of the knowledge that we have have about the composition of other celestial bodies. How Often Do Meteorites Hit Earth? According to the Planetary Science Institute, it is estimated that probably 500 meteorites reach the surface of the Earth each year, but less than 10 are recovered. This is because most fall into water (oceans, seas or lakes) or land in remote areas of the Earth that are not accessible, or are just not seen to fall. You can read more about meteorites that were found from the Chelyabinsk meteor here. In short, the difference between asteroids and meteors all comes down to a question of location. Asteroids are always found in space. Once it enters an atmosphere, it becomes a meteor, and then a meteorite after it hits the ground. Each are made of the same basic materials – minerals and rock – and each originated in space. The main difference is where they are when they are being observed. We have many great articles on the subject of asteroids and meteorites here at Universe Today, such as this general information article on asteroids, this article and infographic about the difference between comets, asteroids and meteors, and these articles that deal with Ceres and Vesta. And here are some recent articles about the Chelyabinsk meteor that landed in Russia, as well as a 2 billion-year old Martian meteorite that contains evidence of water on Mars. 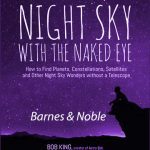 There is some good information on a NASA page as well as some great information here on Universe Today and Astronomy Cast. Endless blinding white ice as far as the eye can see. This is the common scene from the window of planes delivering researchers to Antarctica. However, this is not always the case. While there are mountain ranges and valleys, for a recent research expedition, a large ringed structure came into view on the King Baudouin ice shelf as they were beginning aerial surveys. Geophysicist Christian Mueller with the Wegener Institute, Helmholtz Centre for Polar and Marine Research (AWI) in Germany, was looking out the window of an instrument laden plane when the previously unknown ringed formation, 2000 meters (1.24 miles) in diameter, came into view. Looking into research publications, he found evidence that this may be a meteorite impact event from 2004. The discovery occurred on December 20th from the AWI Polar 6 aircraft as they were flying over the Princess Ragnhild Coast. The formation is located on the King Baudouin Ice Shelf not far from their landing site at Princess Elizabeth station. Two studies were found in the literature by the researchers which pointed to a possible impact event over east Antarctica in 2004. Triangulation of infrasound monitoring data pointed to the area where the ringed formation is located. The infrasound monitoring sites are located worldwide and primarily used to detect nuclear testing events. On February 15, 2013, the same type of data was used to better understand the asteroid explosion over Chelyabinsk, Russia. The second study involved local observations. A separate set of researchers, located at Davis Station, an Australian base off the coast of east Antarctica, reported seeing a dust trail in the upper atmosphere during the same time. Researcher Mueller stated in the AWI provided video, “I looked out of the window, and I saw an unusual structure on the surface of the ice. There was some broken ice looking like icebergs, which is very unusual on a normally flat ice shelf, surrounded by a large, wing-shaped, circular structure.” Altogether, the AWI researchers said that they make the claim “without any confidence.” They intend to request funding to make followup studies to determine its origin. Cheryl Santa Maria, of the Digital Reporter, also reported that there are survey images showing this structure that date back 25 years. Furthermore, a story by LiveScience quoted Dr. Peter Brown of Centre of Planetary Science and Exploration at the University of Western Ontario as stating that the size of a meteorite is roughly 5 to 10% of the impact crater’s diameter. This would indicate an impactor about 100 meters in size and much larger than the estimated size of the event as estimated by infrasound data from 2004. The infrasound data estimated that the asteroid was probably the size of a house, about 10 meters (33 feet) across. In contrast, the asteroid that exploded over Chelyabinsk, Russia, had an estimated size of 20 meters. Dr. Brown was quoted as expressing doubt that the formation is an impact site. The effects of a 100 meter object would have been much more distinctive and likely more readily detected by researchers located in eastern Antarctica. Thus, reporting of the ring formation by the AWI researchers is bringing to light additional information and comments from experts that raises doubts. Follow up studies will be necessary to determine the true origins of the ringed structured.